Read these 10 tips thatwill help you crack JEE Main 2017 with ease. Sankalp Gaur from Pune was the JEE Main 2015 Topper scoring 345 marks out of 360 marks. In addition to securing AIR 1 in JEE Main Sankalp also secured AIR 56 in JEE Advanced 2015. 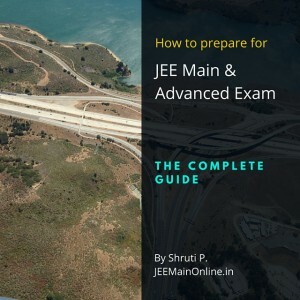 Start preparing for JEE right after your Class 10 exams. Do not waste your time. JEE is NOT tough. You Just need to develop a natural interest in Physics, Chemistry and Maths – think in terms of actual scenarios and not just solving problems. Self Study is absolutely Must – You must spent time on self-preparation apart from School and Coaching classes. Sankalp studied for 6 hours daily (self-study) and 3 hours (in-addition) at coaching classes. The number of hours you study is more important than how much you actually get done in those hours. Concentration in whichever subject you study is the key! Focus more on the important chapters for JEE, practice more questions from these topics. Avoid Social Media distractions like Facebook and Mobile distractions like Whatsapp for these two years, but you could Join useful Facebook groups and Google+ communities to keep a tab on what other students are upto – how are they preparing differently. Pro Tip – Join Shruti’s Organic Chemistry Private FB Group – it’s brand new! Take breaks between studies. Play your favorite sports to keep yourself fit and rejuvenated. Fitness is absolutely important during these 2 years. Not being fit is one of the major reasons behind a bad JEE rank. Friends can be a distraction. Choose wisely whom you want to be friends with over these 2 years. On the JEE Exam day, follow your test taking strategy – Sankalp’s strategy was to attempt Chemistry first as it was a tough subject for him (owing to the vast syllabus) and he solved Physics and Maths after Chemistry. Taking time-bound practice tests is key to your optimal performance on the JEE day. Do not lose vision and focus of your Goal! Share this post with your friends and comment below with the tip number that you think will be the most beneficial for you in your JEE Preparation. This is a very good n nice way to help the students …..they r proprly guided here….. There is NOTHING impossible. Do not ASK ANYONE weather its possible. Have 101% self confidence… and YOU WILL DEFINATELY CRACK. But MOST importantly make a plan and join a good coaching Institute. I am of 9th standard and very determined for Jee these seniors are coaching for me. Rather than going going to resonance or fiitjee you can come here to learn. But where did u live..? I want to come & learn about jee perpreation. SO IS FITJEE IS AN UNUSEFUL ONE??? How i crack jee without coaching . who will clear my doubt and tell me the way to study .. Being a part of India’s no 1 online academy for IITJEE coaching,Kshitij Education India I encounter thousands of queries and impatient students and parents day in and day out. Wow, amazing… But as I regret I didn’t see this post earlier.. I’m just two months away from the exam and I’m seeing this now. How I wish I saw it a year earlier or a two ? Very helpful blog. Here I want to share my experience for IIT JEE 2016 aspirants. If you are looking for free online IIT JEE study material then go for EtoosIndia because I have got the excellent study material. sakashi you are crack the JEE ? 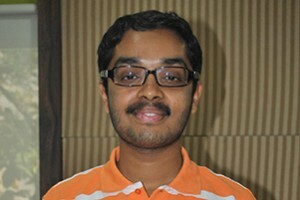 Hi,I am Aniket Kathare . I am Studying in class 9 and I think I should Start my preparation s from now .But I Need some foundation books Plz Send me the link or the PDFs Or ebooks Plz Plz Plz..And also send me some tips..This will help me a lot . I will be thankful to U. Plz send me good foundation ebooks….I hope so u will….Thanks.? Hii. I was in 12 th I not well study in 11 th plz give me some tips to me,so I can do well in jee main.plzzz. tq for sharing u r view .vil it be sufficent 1 year 2 score 200.Is it possible .so sir plz tell me the some more suggestion. i completed my 10 syllabus thoroughly. can i start class 11 PCM in class 10?? what is your views about different coaching in kota? Coaching is not important. Self study is. What matters at the end of th eday is how much you learned, how clear you make yourselves with the concepts. Thanks for useful tips Sir. I don’t have good classes in my area. Do u think it is okay to join online courses? Can u please provide me with answer? Great share. Coaching classes plays a vital role in boosting the confidence of students who are going to appear for IIT JEE. FOr students who are looking for some institutes then I would suggest to go for IITian pace academy. My cousin joined last year and is well prepared for giving IIT JEE exams next year. How can I increase my concentration and be focused. I’m in 10th and aspire to become an I.I.T.ian? I HAVE TO CRACK IT BY Hard preparation of classes 11 and 12th just now !! 11 & 12TH is basic part by which anyone can do so…………. is it compulsory to go to some coaching class like fiitjee or aakash? can we crack the jee mains with the school knowledge? i m from maharashtra state board student i m confused about jee preparation and main issue is that i m in 12th std and my one year got waste and i have only 7 months for preparation JEE and i got tensed after thinking how i prepare myself for JEE!! Haven’t seen anyone uglier than this mofo, goddamn. Thank u very much. ……..
does any one have iit jee preparation study material. pls send it to me on my mail.. I need some pdfs study material. also suggest me some sites where I can get free study material for iit jee preparation. which is better fiitjee or resonance for under 100 rank in iit jee. I live in Vadodara pls tell which is good. 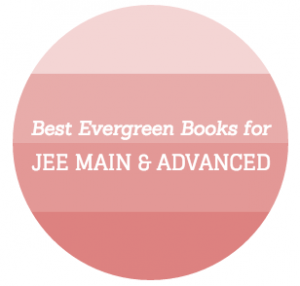 JEE Main 2015 Score – 345/260 epic!!! Its realy heplful for u.
Hyeee… I am sourav singh from jawahar navodaya vidayalaya GB nagar.i wanna crack iit but i don’t have interest in math’s. Can crack that if yes so please give some ideas for that. Thanks for giving alert to preparing IIT jee. dear sir plz help me………. Prepare for IIT JEE online through JEEMainOnline.in. This is the best and professional online institute for IIT JEE preparation. 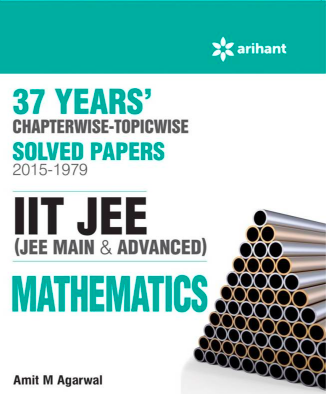 Download practice papers for IIT JEE and start preparing for this toughest exam with ease. THANK YOU SO MUCH RAJ NAIK! Congrats! This shows your zeal for JEE and is giving me lot of inspiration for Studying. Thanks sankalp to innovate me. Choosing the right coaching institute for preparation is the most important step for any student. Before choosing Catalyser coaching at Bhopal i have enquired and visited many but I found most of them were crowded and even the faculties were not qualified enough. very nice bro if i have any doubts can i contact u? it is vry hlpful for me….thnks..i want to crack jee main nd arvance …. Can i take 11th and 12 th class as dummy. Tip no. 1 is the most important one truly! I wasted my 11th like a kid wastes the green vegetables. But now, I know what I have to do. Why did I even came here lol. Good way to initiate the young bloods. I am +2 pass and i have a bad result in jeemains 2017 . so i want to drop a year. So suggest me how to study and prepare myself for jee exam 2018. Please help me. take a break of like 2 days and start thinking about it uu might become successfull if it helped u please tell me in my email) thanks for reading this boring speeech ……. Thanks for your guidance please send me study plan sir…. Edunovus makes concept easier through its illustrations by vedios.we can learn things better by watching vedios rather than listening to classes. Thanks for sharing . I have got right idea about what to do for preparing jee. Edunovus is very useful.u can complete the entire syllabus even if u start in the middle of the year.even viva can be answered with its help.dont waste this opportunity.good luck. Edunovus helped me in learning the concept through vedios.viva also became easy with this.thank you edunovous. I was a slow learner and I couldn’t catch all the concept taught in class.so with the help of edunovus I could get all the concepts clear. Edunovus is very helpful for slow learners like me.the vedios are very easy to understand.both the practicles and theory vedios are student friendly. Edunovus is very useful for the people who are not interested in listening classes also.through these interesting vedios concepts becomes very clear.make use of it. Literally nice and motivational to all the students who want to achieve success in IIT exams . Brainztorm offers a golden opportunity for an aspirant of engineering and bioengineering student, Apply for Engineering (PCM) & Bio-Engineering (PCB), AIEESE(Primary) scholarship application form. If you take an admission through Brainztorm assured 100% job placement and assured scholarship all eligible candidate.